The Cats Tripe: July already! It's been so wonderfully hot, and dry and simply summery here. I'm really enjoying it although it's also making me miss Paul rather a lot. He's working and a long way away and I want someone to share all this beauty and wonderfulness with. 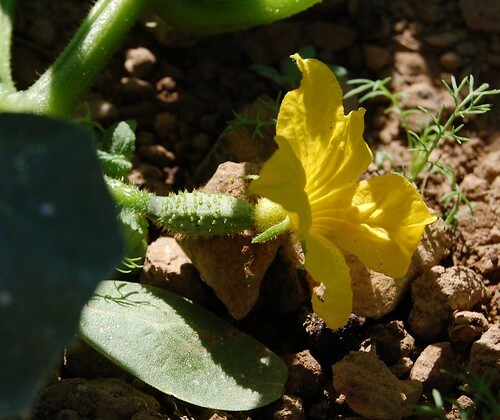 Anyway, I was thrilled this morning to discover the pickling cucumbers have started to flower and form fruit. I'm going to have to get a brine tub going for them pretty damn quick. I've only just finished (by throwing away the last few jars) the 2005 pickles mainly because the cukes got so big so quickly I had many more jars full than we needed. Tiny cornichons are much more refined and if I can just keep up with the picking we shouldn't end up with more than we can eat. There will still be some that pass under the radar of course but some big dill pickles and a batch of our favourite cucumber and celery seed relish should see to those. It's also good to see that the beans have started to flower. 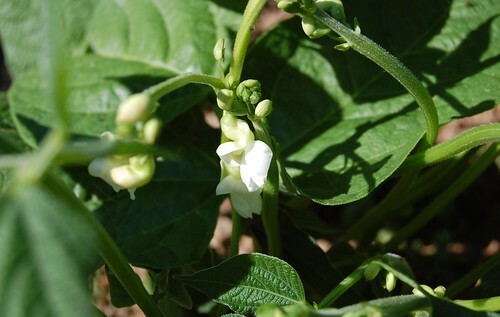 These are the first flowers of the Yin Yang bean, planted on 1st May. Most of the other plants are way behind because they were sown two weeks later after the first sowing all but failed apart from our friend above. The delay in getting the beans in may have further repercussions if the weather goes on being as hot as this as the plants are almost stopping growing in the heat. I've been trying to avoid watering as long as possible but with little or no rain forecast for the next ten days I had to start bringing watering cans to the plot today. Any plants stunted by drought aren't going to be very productive. 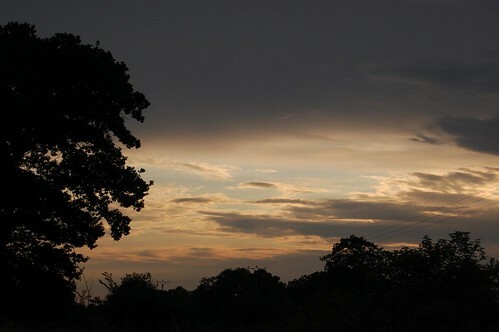 Still I'm not really grumbling, I've been waiting for a proper summer for years now. I'm going to enjoy it while I can. fourth LOL or Ha Ha !